Blogger Vs WordPress - Which is the Right Blogging Platform For You? Do you have an amazing hobby, unique lifestyle, or perspective to share with the world? Perhaps you want to build a community around a certain interest? Or, maybe the idea of leveraging content marketing to drive more traffic to your website, is something that appeals to you? If so, then blogging may be the solution for you. There are a number of blogging platforms at your disposal. Understanding the differences between them, will ensure you get the best return on both your time, and money investment. In this article, we’ll compare blogger Vs WordPress to help you make an informed decision on which is the best platform for you. Specifically, we’ll evaluate how they compare in terms of getting started, pricing, design and customization, and features. If you’re expecting a clear winner, prepare to be disappointed. Different solutions suit different needs. However what you can expect, is to understand the differences between the two platforms, and ultimately know which is the best platform for you. That being said, we do believe that one option is slightly more superior, so read on to find out which one. Differences between Blogger Vs WordPress? When is Blogger a better option than WordPress? When is WordPress a better option than Blogger? Blogger is a free online blogging platform created by Pyra Labs back in 1999, and was later acquired by Google in 2003. You can set up a free blog, which is hosted by Google as a subdomain of blogspot.com. Alternatively, you can purchase your own domain for a fee. It was one of the first mainstream blogging platforms, and played a big part in the acceptance and accessibility of blogging. Over time, it has stayed true to its roots, catering exclusively to the blogging niche. It’s one of the easiest platforms to use, and the process to get started is lightning fast. Blogger takes care of all the background processes necessary to host a blog, leaving you with task of coming up with great content to publish. WordPress started in 2003 as an elegant and well-architectured personal publishing tool. From its humble beginnings, it has grown to become one of the biggest blogging and website platforms in the world. Powering more than a quarter of all sites online, from hobby blogs, to fortune 500 companies. WordPress first and foremost, is a quality Content Management System (or CMS for short). A CMS makes it easy to create and publish content online, through a simple WYSIWYG (or What You See Is What You Get) interface. It is open source, which means that no single group owns it, and it is free for the public to use, modify, or improve. WordPress comes in two versions. WordPress.com, which is a hosted version and comes with some restrictions, and WordPress.org, which is a self-hosted option leveraging the WordPress software. We will focus on WordPress.org for the purposes of this article. What are the main differences between Blogger Vs WordPress? In the previous section, we highlighted some of the fundamental differences between the two platforms. The biggest difference between these two platforms is control. Blogger creates a ‘safe’, but restrictive environment for blogging, whereas WordPress opens up a world of possibilities. Which can be both a positive and a negative. In the following section, we’ll explore the process of getting started, pricing, design and customization, and features for each platform. The objective being, to give you a clearer understanding of the real differences between them, as well as illustrate how each of these platforms work. So, let’s take a closer look. It really couldn’t be any easier to start your blog. The only prerequisite is that you have a Google account. If you’ve signed up for Gmail, then the good news is that you already have a Blogger account! Head over to blogger.com, sign up or log in, and you can immediately start creating your blog. You choose a template, upload some content, and can begin customizing the look and feel of your blog. When you’re ready, publish your content, and you’re away. You can also purchase a custom domain from within the platform. Once you have your domain and hosting ready to go, you have two options. Either install WordPress via your hosting provider’s one-click installation feature (as we do in the tutorials above). Or, you can install WordPress manually on your domain, or in your local environment, by downloading the WordPress software from WordPress.org – downloads, and following the instructions in the readme.html file. Given how easy it is to get started with Blogger, this round undoubtedly goes to Blogger. However the step by step tutorials provided, make getting started with WordPress very easy. The biggest advantage of Blogger is that it is completely free! You do not have to pay to use the service, it comes with free themes and features, and as you host your blog on the platform you don’t have to worry about hosting, SSL certificates or purchasing a domain. You will, unfortunately, sit with a URL that is a subdomain of blogspot, for example: myblog.blogspot.com. However, you can purchase your own domain if you like. WordPress itself is free to download and install, but before you get too excited at all these free blogging platforms, remember: While using WordPress is free, hosting your site is not. As we explained before, WordPress.org is self-hosted, which means it’s up to you to get a hosting provider, buy an SSL certificate if you want to take credit card payments, and purchase a domain name. Some services do all 3 for you in one go. You should shop around to see what is available and to choose a hosting service that matches your needs in terms of page speed, bandwidth, database storage and traffic. For a full breakdown of the costs of running a WordPress website, and links to our recommended providers, review our How much does it cost to make a website with WordPress? article. Free is incredibly hard to beat, and because of that Blogger narrowly wins this round. However, there is a real difference between price and value. If you’re considering starting a blog as a serious, and even commercial endeavour, you’ll want to invest in the platform that the industry pros use, which is WordPress. First of all, Blogger has a very limited set of themes to choose from. There are 50 (free) themes available and no 3rd party marketplaces. The themes themselves aren’t the best quality, and can’t compete with some of the themes available on WordPress, especially those produced by the top premium WordPress theme providers. You can however, edit a theme in Blogger almost any way you wish. 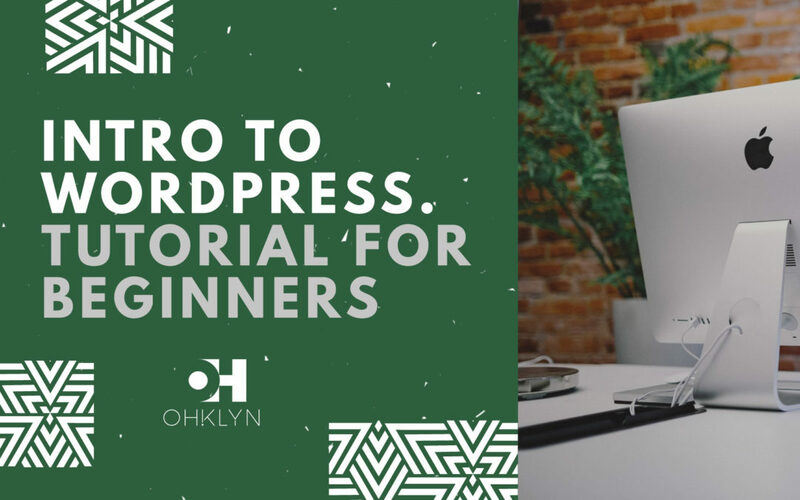 Although the technical capabilities are much more limited than the open source, sandbox that is WordPress, you can mess around with the HTML, CSS and, add script if you’ve got the skills. This is the home ground of WordPress, and very few other platforms can compete with it in this category. Because WordPress is open-source, there is a huge community of contributors, who create themes, plugins, widgets, and other tools to improve the design and customization options for your blog. The sheer amount of themes, widgets, designs, and customization options are still unrivalled. WordPress itself has almost a thousand free themes, and there are many providers and marketplaces who offer a countless number of 3rd party themes. Check out our best WordPress theme providers and marketplaces article, to explore this further. WordPress is likely to trump any competitor in this space, because of the size of the active community of designers and developers. This was an easy win for WordPress. Blogger might be a little lighter than WordPress, but let’s not forget that it is a Google project, and has been around a while. It is mature enough that it has a decent set of features, and most of what you’ll need to run a blog is catered for. As you can see, Blogger has all the most important features. The biggest difference between it and WordPress, is that you can expect a wider variety and range of choices in just about every aspect of WordPress. WordPress has a huge community which ensures a constant spring of new 3rd party designs, features, and functionality. Once again, it’s a KO win for WordPress. As you can probably tell by now, these platforms are drastically different. Although WordPress is by far the more comprehensive option, it doesn’t necessarily mean it’s the best choice for everyone. If simplicity, and ease of use are important to you, and you’re not wanting to build a brand or a business around your blog, then Blogger will be a great choice. However, for every other application, WordPress will be the way to go. WordPress is the industry standard, and the choice for most professional bloggers. When you have no web development experience and don’t want any technical worries. You want to get your blog up and running quickly without any fuss. You want a simple blog-only experience. When you have some level of web development skill, or you are relatively savvy and comfortable following step by step instructions. You have the time, money and effort to invest in either starting up a WordPress site, or employing someone to do it on your behalf. You have a long-term plan and could possibly expand your blog with an online store or many other features.